Finding itself in the midst of horrendous challenges, peace with Pakistan apparently tops the list as one that haunts India the most till date. With hostility being the defining characteristic of Indo-Pak relations for more than seven decades now, peace has never had the chance to prevail between the two neighbours, despite efforts at certain points in time. Half-hearted, shallow, and reluctant as they were, however, the efforts failed to deliver the prevalence of peace in South Asia while ameliorating the Indo-Pak animosity, resentment, and ill-will. Although the two sides are accustomed to blaming each other for the failure, and halting of peace dialogue, subject to a neutral assessment it appears that India, compared to Pakistan, has perhaps remained more hesitant, and thus, on a back foot with respect to taking the peace talks forward. Whereas Pakistan has remained flexible, and open to bilateralism, India falling prey to her arrogance has kept the doors rather closed. The reasons giving birth to Indian hesitation, and reluctance, however, go beyond mere arrogance, and are more than evident. While Kashmir has supposedly been a primary bone of contention, and undoubtedly is one reason of hostility between India and Pakistan, it is not the only reason from which India’s reluctance to dialogue stems. With its firm belief in a greater Hindustan, India apparently has never accepted the partition of Sub-Continent in its true essence, along with the existence of Pakistan in good faith. Point scoring in Indian local politics has also had its fair share in disrupting the peace process with Pakistan since badmouthing the latter till date earns the politicians encouraging numbers in public voting. The lack of acceptability, and good faith, combined with Kashmir issue, and political point scoring hovering over have been major roadblocks to continual bilateral dialogue aimed at establishing peace between the two countries. With political change making its way in Pakistan, so did the hopes for peace with India. The newly sworn in government is committed to pursuing a foreign policy aimed at mending bilateral ties through meaningful negotiations, and prevalence of mutual benefits. Prime Minister Imran Khan, in his maiden victory speech, clearly stated that Pakistan would take two steps towards India, if India takes one. Yet again, it was Pakistan attempting to break the ice. The efforts, ironically, appear to be in vain in wake of India backing out at the last minute from the agreed upon meet up of the foreign ministers of India and Pakistan in New York on the sidelines of United Nations General Assembly (UNGA) session. PM Khan had taken the lead on suggesting the meet up to the Indian government, which at first was accepted. The meeting though was not a formal resumption of dialogue between the two countries, however, was an attempt to break the ice, and clear the way for a meaningful dialogue to follow. PM Khan’s goodwill gesture, whereas may not have received a corresponding response, but has portrayed Pakistan’s diplomacy as peace, and progression oriented, particularly towards the hostile eastern neighbour. 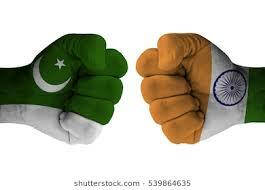 India’s backing out, on the other hand, has yet again uncovered her lack of desire for peace with Pakistan courtesy establishing stabilised bilateral relations; jeopardising regional peace and stability in turn. What caused India to back out of the agreed upon foreign ministers meet up in New York is, perhaps, not difficult to answer in wake of local developments in Indian politics. Indian Prime Minister Narendra Modi at present is facing severe pressure and calls for resignation by the Congress led opposition amid the accusations of corruption in the French Rafale Jet deal back in 2016. Former French President Francois Hollande revealed that Modi demanded the inclusion of Reliance Group chief and billionaire Anil Ambani as the Indian joint venture partner. Surrounded by troubles mounting in further, the BJP led Indian government apparently reverted its agreement on Indo-Pak foreign ministers meeting in New York in an attempt to divert the public, media, and state institutions attention from the alleged corruption charges. The best way out of this quicksand for Modi is to turn the diplomatic guns on Pakistan, once again! Hence, making peace between the two countries a scapegoat. The Indian army, ironically, has also fallen prey to the politics of hate yet again with the day dreaming Indian army chief, Bipin Rawat, irresponsibly calling for either surgical strikes, or any kind of operation against Pakistan. Local politics, neither in India nor in Pakistan, must distort the efforts of peace by asserting undue influence on the diplomatic, nor defense mechanisms. With peace barred from going across the borders, the two nuclear armed states filled with hostility for one another not only pose grave threats to each other, but jeopardise the security and stability of the entire South Asian region, and the world at large. The to-be far reaching implications of an Indo-Pak war have persistently persuaded the world powers to play their role in stabilising the disturbed relations. What has been missing thus far is maintaining the regional strategic balance. The western tilt towards India itself poses serious threats to the already struggling peace drive in the region. A slightest inclination could very well roll back the international efforts for peace in South Asia. Seven decades down the line, hostility towards Pakistan has not gained India anything. it is high time for India to rise above its fears of peace with Pakistan, and join hands in not only the bilateral progress of the two countries, but the entire region as well. Rest assured, the India’s worst nightmare will be a war with Pakistan, not peace.